Sustainability is about more than just the environment, and Dominica is a case in point. The country, known as the Nature Isle, practically addresses issues like environmental conservation by establishing natural reserves. Moreover Dominica looks at how interconnected and interdependent we are, and protects that interconnectivity for the future. Dominica is a strong commemorator of World Meteorological Day, an observer of World Tsunami Awareness Day, and a celebrator of numerous other global campaigns like World Water Day and World Humanitarian Day. It ascribes to the principle that, when we all come together to defend common causes, success is a much greater certainty. At home, Dominica is connecting diverse people thanks to the growing popularity of eco-tourism, something that it can cater to perfection thanks to its longstanding commitment to safeguarding nature. Forest reserves and national parks constitute around 20 percent of the island’s landmass, and there are multiple initiatives to support biodiversity and Dominica’s unique flora and fauna. Dominica featured in both the 2016 and 2017 World’s Ten Best Ethical Destinations, a report compiled by Ethical Traveller, which reviews the policies and practices of more than 100 developing nations. The report concerns itself with human rights and social welfare as well as environmental protection. Among other things, the report noted that Dominica is a regional leader in renewable energy usage – currently covering 28 percent of its total electricity bill. Contributing factors include the production of hydro power and chemical-free, traditional agriculture. The nation’s objective to become energy self-reliant by 2020 is however just one aspect of its sustainability mandate: it is implementing policies and guidelines to address climate change resilient technology, protect its residents from natural disasters, and prepare the island for weather changes. The small things are not forgotten in Dominica, making it not just a great great island of plentiful nature, but one that is proud to engage its visitors in sustainable practices. Engine-free rowboats must be used, for example, to traverse the fragile Indian River ecosystem where Pirates of the Caribbean was filmed. Tourists are treated to natural sulphur spas, cooking lessons using the herbs, root crops, and vegetables grown on the island, and even a fishing experience that centres upon capturing the lionfish, an invasive creature. Marine life is important to Dominica because it provides opportunities for visitors to interact with rare species such as sea turtles and whales. 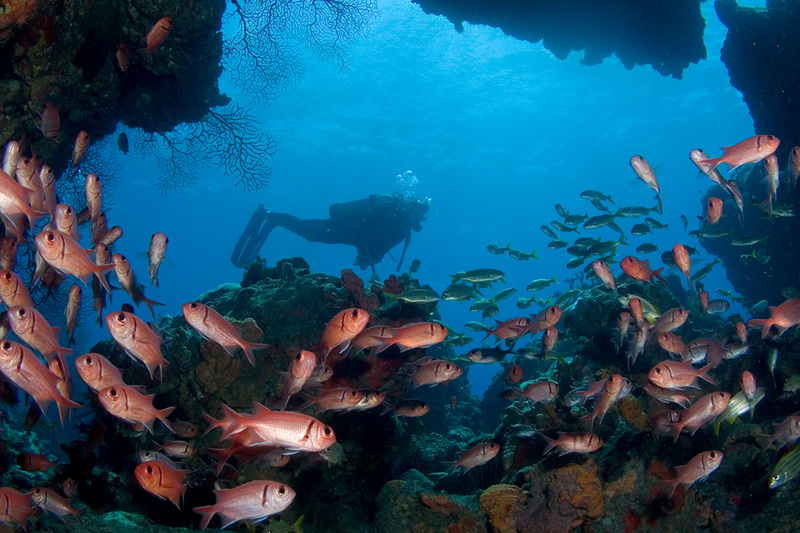 For its part, Dominica is important to these sea-dwellers because its steep topography and 148 km coastline offer protection and a year-round home. Dominica is the perfect environment for great mammal breeding and calving. Unsurprisingly, Dominica is a strong opponent of the whaling industry and has been heralded for its dedicated approach to whale conservation – a topic so pressing that it has been included as a compulsory subject within the national primary school curriculum. The Anchorage Marine Mammal Interpretation Centre, focusing on the life of these cetaceans, has become a popular site on the island and gives visitors the opportunity to view the mounted skeleton of a sperm whale. If ever there was a role model for island sustainability, then Dominica is it: an authentic destination capable of revolutionising how you look at nature and how you live your life. It may just inspire you to stay forever.